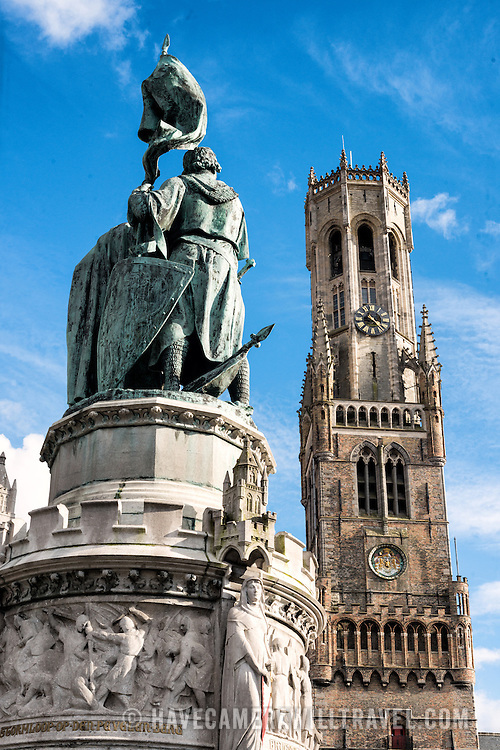 At left is a statue of Jan Breydel and Pieter de Coninck in the Markt (Market Square) in the historic center of Bruges, a UNESCO World Heritage site. The two men, a weaver and a butcher, helped lead a Flemish rebellion against the occupying French in the Battle of the Golden Spurs on July 11, 1302. At right, in the background, is the famous Belfry (bell tower).